Free delivery on orders over £100 ex VAT. 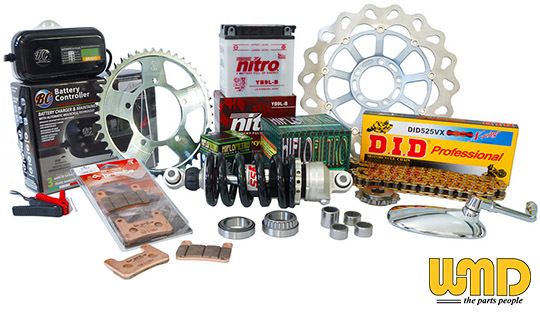 World's End Motorcycles Distribution is part of the World's End group of companies, supplying quality after market motorcycle parts to Motorcycle Traders, Dealers, Workshops and other businesses in the motorcycle trade. Once your application has been verified and approved you will have access to the most comprehensive selection of service parts available from any distributor in the UK.